Advocacy and Communications Intern at PICUM. PICUM hosted its third thematic working group on undocumented children and families on 13 November 2013 in Brussels. PICUM used the opportunity to update the 20 members participating on its advocacy work and policy developments both at global and EU level concerning the rights of undocumented children, with a focus on the immigration detention of children and families. Participants also discussed key national developments, activities and opportunities and exchanged strategies for addressing major challenges in their work. The working group, held a day before the PICUM’s hearing at the European Parliament ‘A Child is a Child. 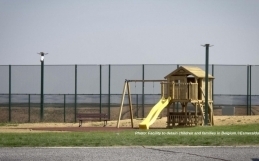 How can the EU ensure the Rights of Undocumented Migrant Children and their Families’, also focused on how to engage with members of the European Parliament to advocate for undocumented children’s rights. 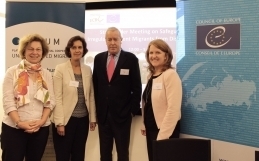 PICUM’s Programme Officer, Lilana Keith, presented conclusions of the UN Committee on the Rights of the Child’s Day of General Discussion held on 28 September 2012 entitled “The rights of all children in the context of international migration”. The Committee’s official recommendations are a strong tool in advocating the rights of undocumented children, making clear that the Convention must apply to undocumented children without any discrimination. Also regarding child detention, the Committee states unequivocally that it is always a child rights violation and can never be considered in the best interest of the child, and that alternatives are required for children and their families. Participants discussed how to campaign and raise awareness of these recommendations. PICUM worked to ensure that civil society’s messages for the UN High Level Dialogue on Migration and Development (HLD), held from 3-4 October 2013 in New York, had specific recommendations on migrant children. By convening a new global working group on the rights of children in the context of migration, some key messages were agreed by several key organisations and presented at the HLD. These key messages – on equal access to all services, protection and justice, ending immigration detention and the right to family life, were presented to the participants. To view more photos of the working group meeting, click here. Ben Lewis, Advocacy Coordinator at the International Detention Coalition (IDC) and Jem Stevens, Europe Regional Coordinator for the IDC campaign to end child detention, introduced the ‘Global Campaign to End the Immigration Detention of Children‘ which was founded by IDC following their study entitled ‘Captured Childhood’, and was launched on 21 March 2012. Participants discussed issues around alternatives to detention and shared information about immigration detention of children or parents in their national contexts and their campaign work. Particular input was given by Nubia Forero and Mónica García for the situation in Spain, Nimrod Avigal for Israel, Laetitia Van der Vennet and Tine Debosscher for Belgium and Rian Ederveen for the Netherlands. The working group also has a closer look at developments on national level concerning undocumented children and discussed opportunities for collaboration. Particular input was given by Rian Ederveen (Stichting LOS – The Netherlands) who shared preliminary results from research on the number and situations of undocumented children in the city of Utrecht. A participatory initiative to empower young migrants, support their integration and develop recommendations was shared by Nubia Forero (Red Aminvi – Spain), and Pierfranco Olivani (NAGA – Italy) who spoke about the successful campaign for undocumented children to have access to a pediatrician in Italy, key elements of success and the remaining challenges in the region of Lombardy . A peer learning session also enabled members to go more in depth on particular challenges they are facing and discuss possible solutions. Lilana Keith updated the participants on PICUM’s engagement with the European Commission Recommendation “Investing in Children: breaking the cycle of disadvantage”. The Recommendation sets out principles to guide the policy-making of member states, including the development of integrated strategies based on three key pillars: Access to adequate resources, access to affordable quality services and children’s right to participate. The second pillar calls to give particular attention to the needs of undocumented children to access their right to health care. The working group discussed the opportunities for national level engagement with the recommendation. Lilana Keith also informed participants about the manifesto for the European Parliament elections: “I’m a child rights champion”. Participants agreed that some of the practices being developed for the protection of unaccompanied children should be broadened and adapted to also protect the rights of undocumented children with their families. 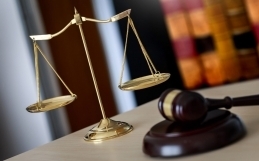 Access to justice was identified as a key issue and participants discussed whether legal aid is provided to undocumented migrants in their national frameworks. PICUM has four other thematic working groups on the following topics: fair working conditions; access to health care for undocumented migrants; undocumented migrant women’s access to justice; and legal strategies in advocating for undocumented migrants. Each of the working groups meets twice per year. Participants of the working groups are PICUM members. The aim is to strengthen networking among members and facilitate more strategic cooperation on key policy issues at both national and European level. The next working group meeting will be on the challenges faced by undocumented migrant women and will take place on 10 December 2013 in Brussels.